Hello! I would say that dresses and shoes make up about 90% of my wardrobe and all pants, shirts, skirts, sweaters and jackets make up the other 10%. Not a very balanced wardrobe, I know. But hey, all I ever really want to (and actually do) wear are stylish dresses with eye-catching heels. So when LightInTheBox reached out to me regarding a collaboration, I surprised myself by selecting a top to review instead of a dress. 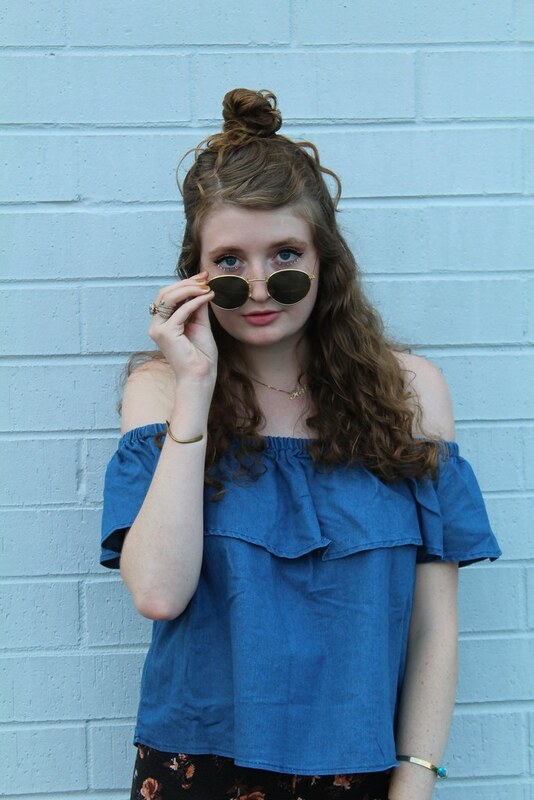 But I'm completely obsessed with this denim, off-the-shoulder top. Like actually obsessed. I don't think that I've ever owned a shirt that I love as much as this one. I do recall a lizard-like bell sleeve top that I had in elementary school that I couldn't get over but I think this top even beats out that one as my favorite top that I've ever owned. No other top matches the versatility of this off-the-shoulder gem. While most versatile pieces tend to be boring, the trendy silhouette and color of this top keep it from slipping into the realm of dull tops. I was also impressed by the quality of this top. You would think that this top would retail for much more than $13! If you'd like to scoop up this top for yourself, you can purchase it here. 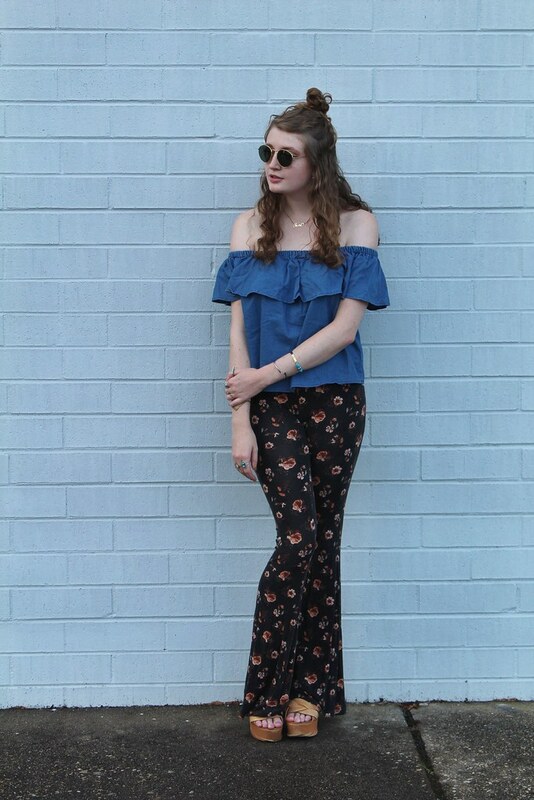 For this look, I decided to go boho and paired the top with a bohemian pair of floral bellbottoms. I slipped on a pair of flatform sandals with the look to show off the silhouette of the pants. I accessorized by layering on golden jewelry and slipping on a pair of golden sunglasses. A messy half bun and rhinestone studded lashes completed the free-spirited look. You look like a 70s dream! Perfect!